January 11th, 2011 … do you know where your tank tops are? It’s time to talk Scottsdale vacation homes, people. You see, while you are buried under two feet of snow, I’m mowing my lawn. In flip flops. As today is a bit nippy by Scottsdale standards, I went a little crazy and skipped the zinc oxide on my nose. Now, I wouldn’t dream of poking fun at you poor buggers who are currently caught within exhale radius of Mr. Snow Miser’s arctic morning breath. Nope, I have no intentions of gloating or doing the verbal Ickey Shuffle all over that frozen tundra you call home. I’m certainly not going to ask you to hand deliver a message to one of the polar bears in the Coke commercials or wonder aloud about your local animal ordinances, and whether or not they allow for emperor penguin adoption. Summer will roll around soon enough, and the mercury-bending shoe will be on the other foot. 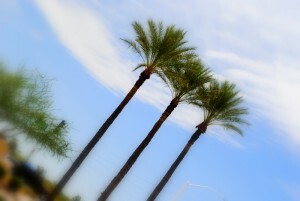 In the meantime, however, I thought I might offer a few examples of that which a Scottsdale winter does not consist. You know, to help spread some vicarious warmth to those unfortunate souls trapped in the ice tray of nature’s Frigidaire. I’m all about paying it forward this year. Fun as all that sounds, I’ve got a full afternoon of driving around in my convertible after squeezing in a quick round of golf. Depending on my motivation, I might go lay out on top of Camelback Mountain for a spell. This epidermis ain’t gonna tan itself, you know. Want to secure your own life of leisure? We can always accommodate one more Scottsdale vacation home owner. Contact us today, or jump to our Scottsdale home search page to find your own little slice of Southwestern paradise.